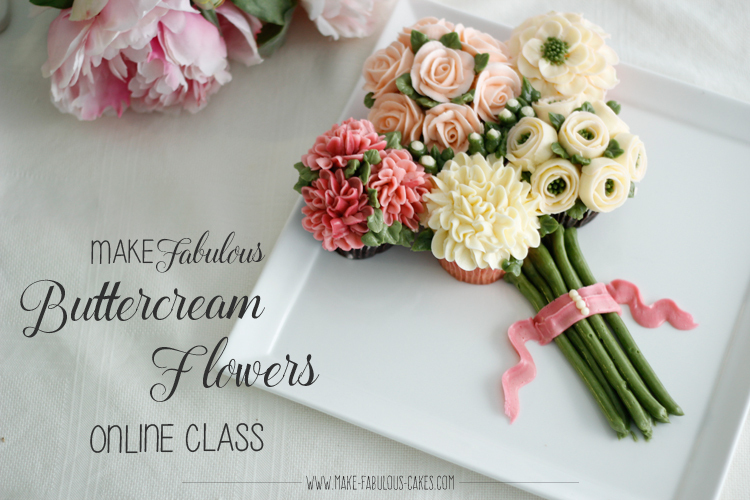 I’m so excited to present to you Make Fabulous Buttercream Flowers online class. 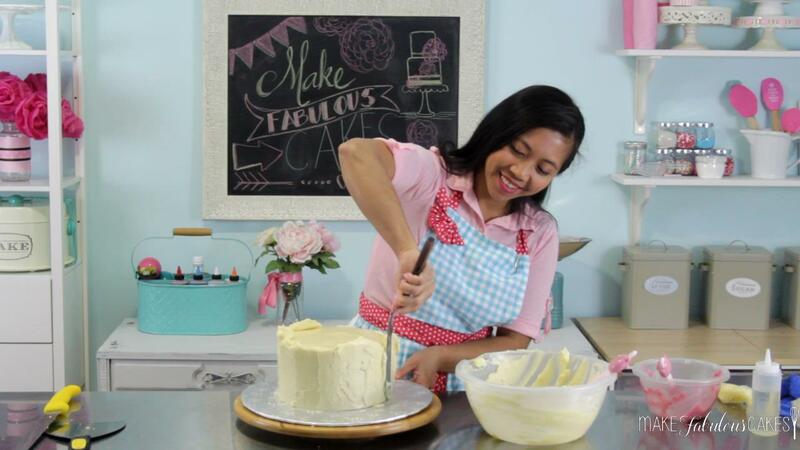 This tutorial will give you a step by step process on how to create perfectly piped buttercream flowers. 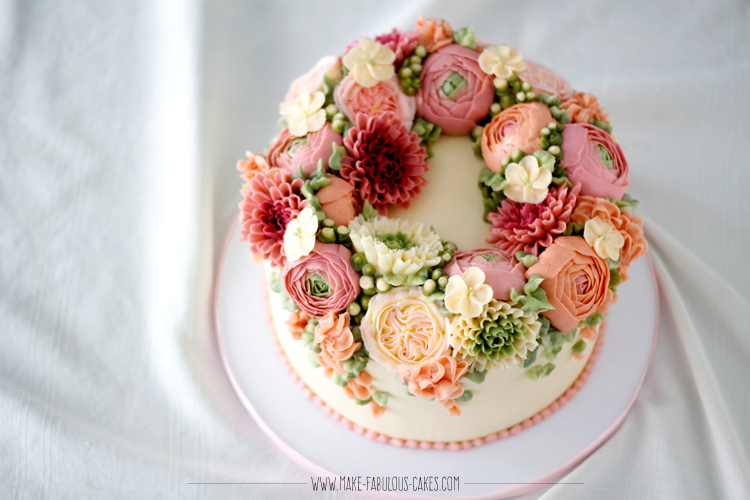 Have you ever wondered how to get those perfectly piped buttercream flowers? It’s very much trending right now in the cake decorating world. Piped flowers have been around forever, however now it has been transformed into something more dainty and modern. Korean buttercream flower is the new terminology for the buttercream flowers style popularized by the cake decorators from the same country. Aside from the usual piped roses and blossoms, now you see flowers like the English rose, ranunculus, peonies and more are now in buttercream! I’ve been making buttercream flower cakes for quite awhile and I have been requested pretty frequently to teach more about this technique. I have made posts like here and here in the past years to show how to make this type of buttercream cakes. But a lot of people are visual (myself included) and doing it in action is the best way to learn. Looking at the pictures, it might look pretty simple but I promise, there are so many factors involved in achieving perfect buttercream flowers. 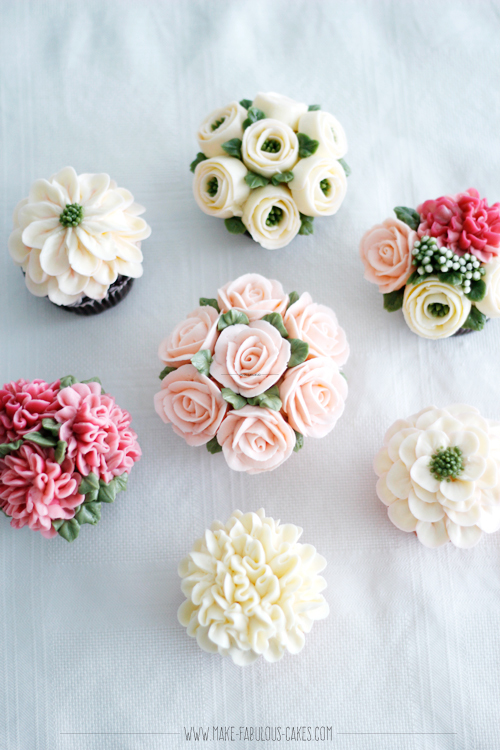 From which buttercream and pastry tips to use, to the actual way of piping the flowers, it can get pretty intimidating to a beginner. All the lessons in this class are available online and you can access it anytime, anywhere as long as you are connected to the internet. It’s like having me right there chit chatting with you in your kitchen. It’s over 3 hours of video lessons that you can watch at your convenience. 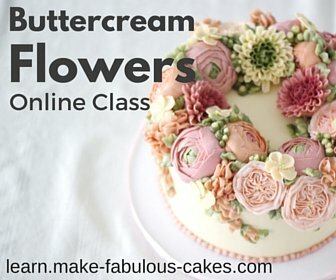 A good buttercream for piping flowers is the first step on making buttercream flowers. That is why it’s the first lesson covered in this class. You will also learn different ways of coloring the buttercream to achieve different effects. Then we will do our very first project. We will first start with cupcakes. In Lesson # 3, we will warm up our piping skills using only ONE petal tip to create 5 different flowers – the classic piped roses, ribbon roses, large carnation, smaller cluster of carnations and the zinnia flower. You can keep the cupcakes as is, but why not have a bouquet of flowers instead. I will show you how to put this cupcake bouquet together. In Lesson # 4, we will make a buttercream flower wreath. You will learn how to pipe blossoms, English rose, chrysanthemum and the ranunculus flower. I will show you how to put this all together on the cake. 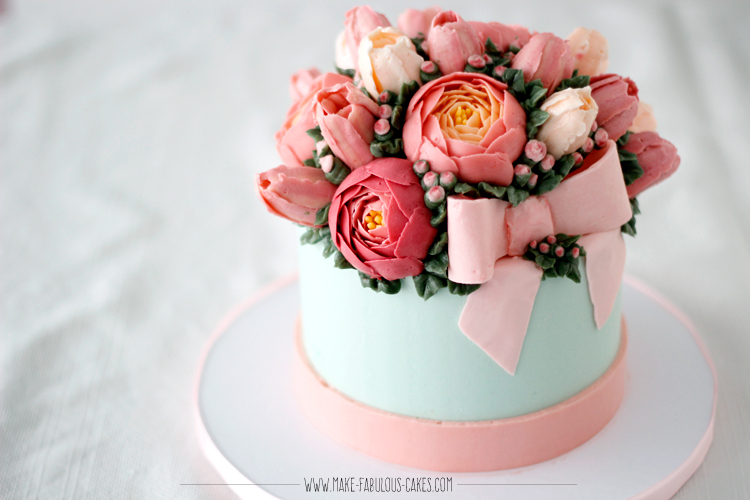 Then in the final lesson, you will learn how to make a gift box cake with buttercream tulips, peonies. 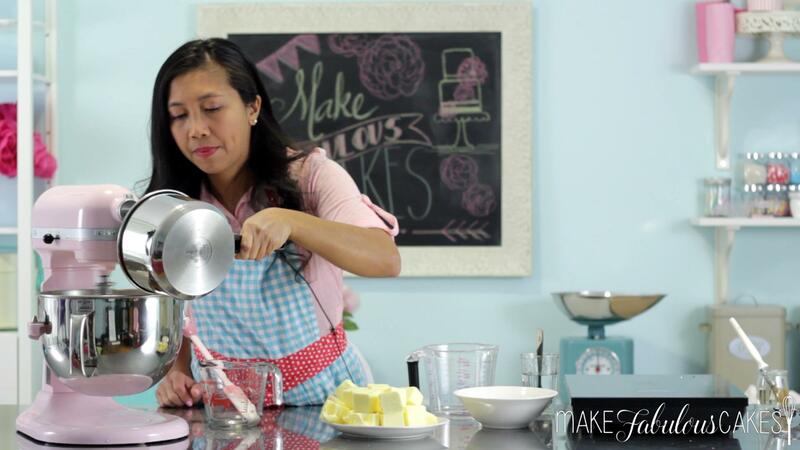 Then I will also show you how to make a bow in buttercream. Yes, all in buttercream. So, if you’ve always been intimidated with making buttercream flowers, fear no more. 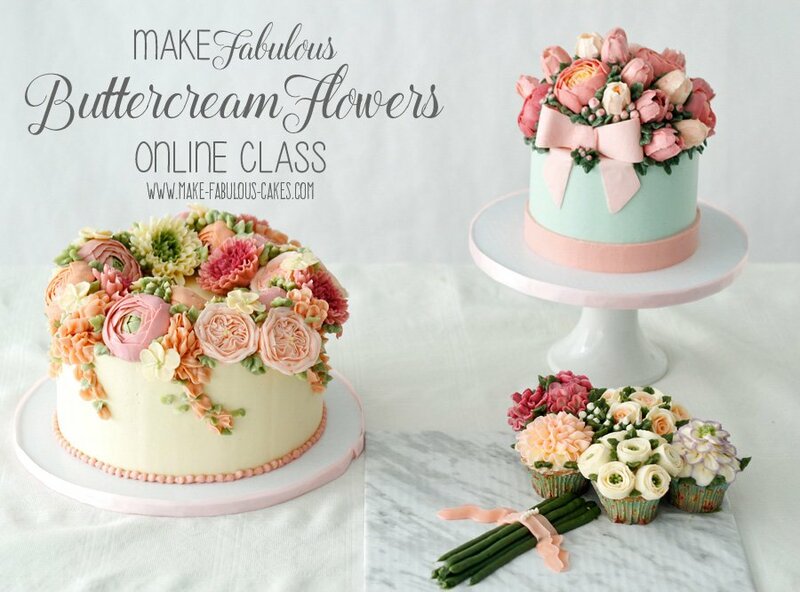 After this class and of course with practice, you are on your way to confidently creating beautiful delicate buttercream flowers. You’ll surely wow your clients and guests with your elegantly decorated cakes and cupcakes!